Will.i.am opened up how he lost 20 pounds after going totally meat-free. The 43-year-old rapper tipped the scale at 210 pounds last year, due to constant overeating and binging on processed foods. 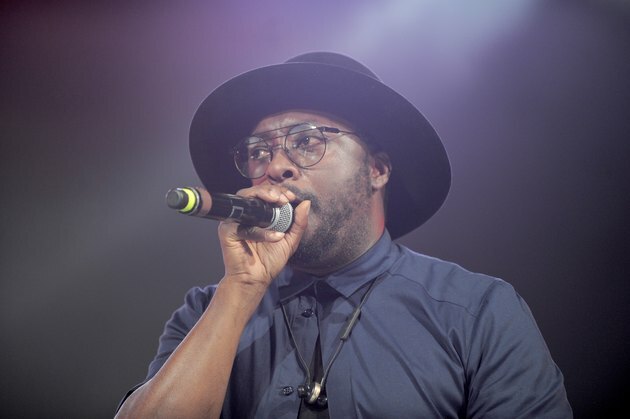 Will.i.am explained that his doctor expressed concern about the singer’s cholesterol and blood pressure because his family has a history of heart disease and diabetes. As a result, the singer cut out meat, sugar and processed foods and started following a </ahref="https:>plant-based diet. Lauren Harris-Pincus, M.S., RDN, founder of NutritionStarringYOU.com and author of “The Protein-Packed Breakfast Club,” tells LIVESTRONG.COM that the benefits of Will.i.am’s new diet likely have less to do with cutting meat and more to do with what he replaced it with. For example, she says, eating less meat and more dark green vegetables, legumes, whole-wheat products and nuts will boost a person’s intake of magnesium, a mineral that helps to reduce stress, relax muscles and promote better sleep. “When people eat meat, it’s not even that eating meat is bad necessarily, but we eat far too much of it,” she explains. Data from the U.S. Department of Agriculture suggests that we’ll eat a record amount of meat this year — 222.2 pounds per person, to be exact. And though the government recommends we eat about five to seven ounces of meat daily, the USDA predicts that the average American will down almost 10 ounces a day. What’s more, plant-based foods help to support gut health, according to Harris-Pincus. Why does that matter? It has everything to do with serotonin, or the “feel-good hormone,” which impacts functions that include mood, anxiety and happiness. While some serotonin is produced in the brain, 80 to 90 percent of it is manufactured in the intestines or the gut. And healthy gut bacteria coax your gut into making more of it. The way to promote healthy gut bacteria? You probably guessed it: “By eating a lot more plant-based foods,” Harris-Pincus says. Similar to Will.i.am, “The Office” actor Craig Robinson lost a whopping 50 pounds earlier this year after kicking meat and alcohol from his diet. But beware: Going vegetarian won’t automatically lead to weight loss. According to Harris-Pincus, calorie for calorie, a piece of lean meat will leave you feeling more full than a bagel or a bowl of pasta. That’s because refined carbohydrates have been stripped of almost all fiber, allowing your body to digest them very quickly. Meat, on the other hand, takes longer to digest, keeping you satiated longer. Therefore it’s important to focus on vegetarian foods that promote satiety, such as beans and whole grains, which are high in dietary fiber. If you’re a fan of black-eyed peas and the Black Eyed Peas, Will.i.am wants you to consider cutting meat from your diet. “It changed my life, and I would encourage everybody to have a plant-based regimen,” he told Huffington. Do you ever think about what you’re eating in terms of its nutritional benefits? Have you considered cutting meat out of your diet? Share in the comments section! A Vegetarian Diet Will Make You Lose Twice as Much Weight. Seriously.